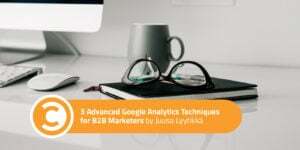 When solving tough growth challenges, B2B marketers often turn to Google Analytics. For measuring activity and addressing questions that are answered only with data, GA is the industry standard. The problem is, many marketers look to the surface for insights that are mistakenly considered gospel. Indeed, only 22 percent of marketers believe they run data-driven marketing initiatives that are achieving significant results. And I’d bet the other 78 percent are only scraping the tip of the analytics iceberg. But there are three advanced features you can use to generate real, granular insights from your analytics. 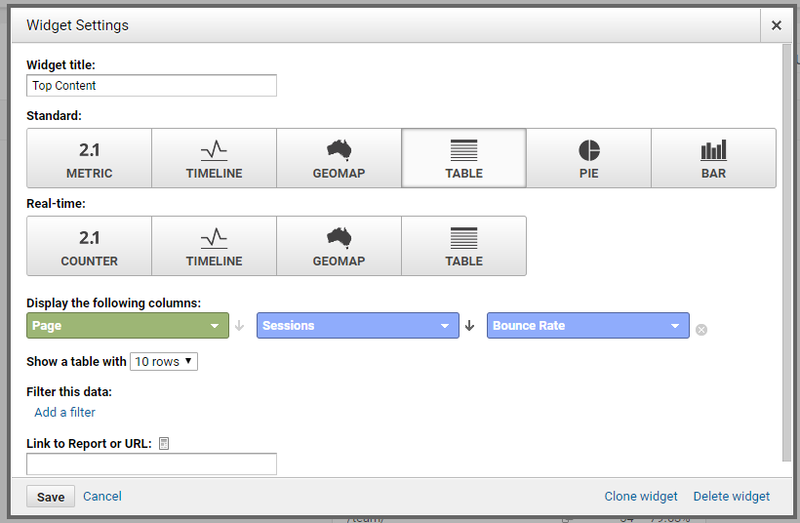 Google Analytics provides a whole range of useful insights out of the box. But without digging deeper, you’re not getting the full picture. Many marketers make the mistake of taking basic reports at face value. If you’re serious about conversion optimization and growth, you need to segment your reporting. 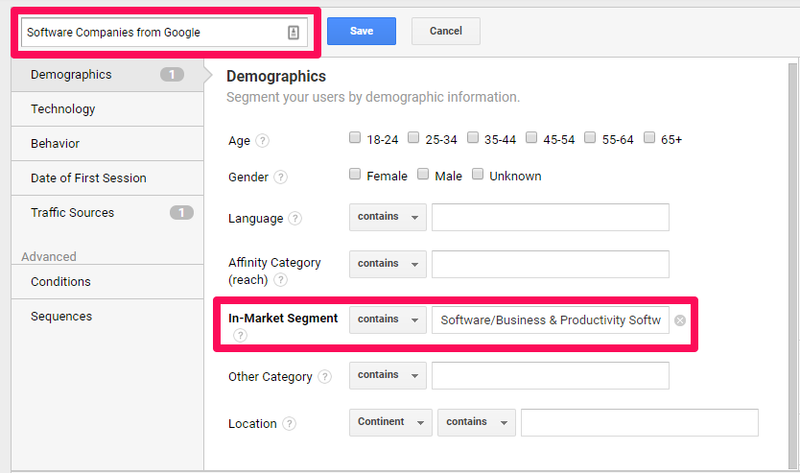 Thankfully, GA has an advanced segments feature that assists you in getting the most out of the platform. With it, it’s easy to create custom segments and reports based on demographic, technology, behavior, date, and traffic sources. The ability see all data and reports (including custom) for users by criteria. Include demographic data within your reports. 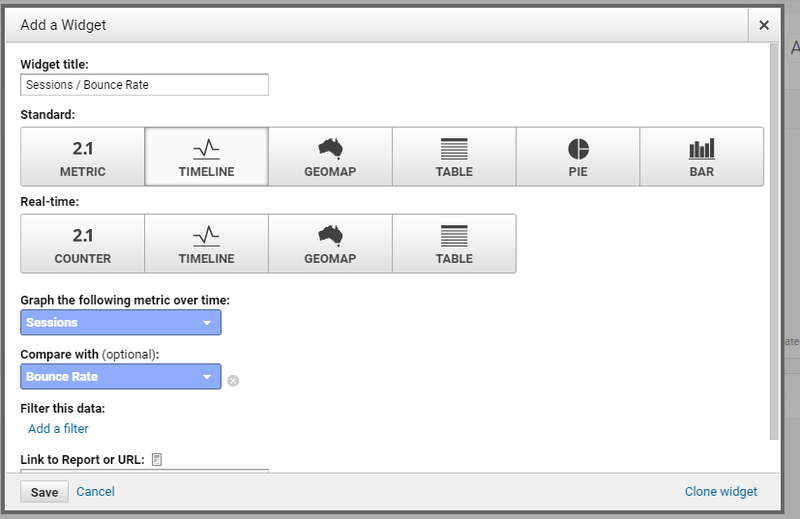 Access and import segments developed by the Google team and other GA users. I now have a complete overview of performance by traffic source. 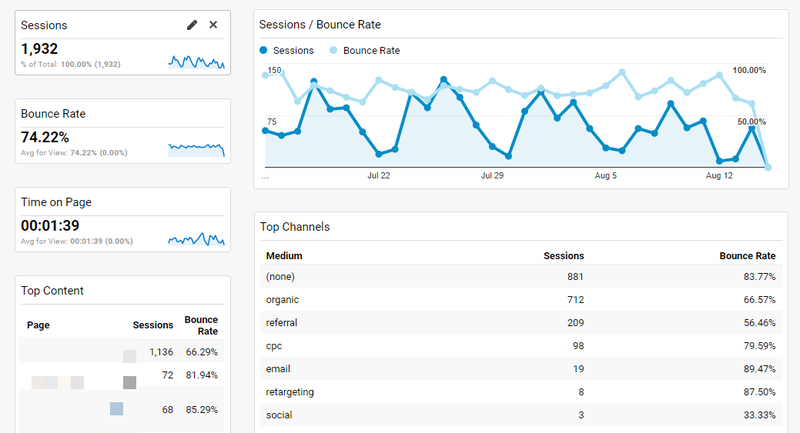 I can see Session, Users, Average Session Duration, and Bounce Rate metrics for each source in one place, which shows you how different channels perform. Experiment with different default segment options to become more familiar with the feature. Dig deep into the insights that solve your business challenges. So, now you understand the power of segments. But we’ve only just scratched the surface. To get the most out of this feature, let’s dive into custom segments. 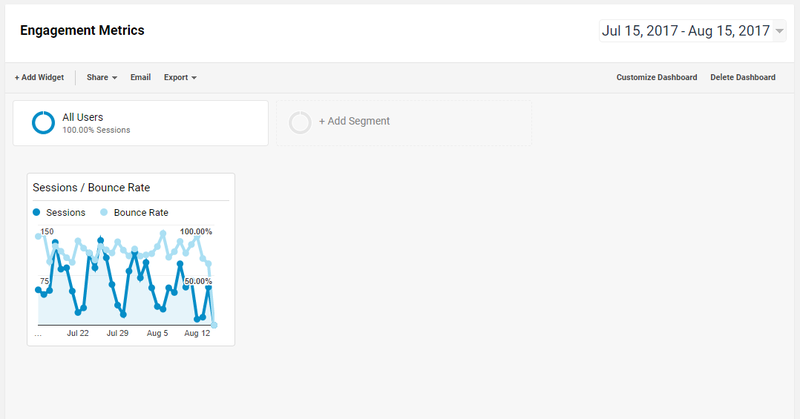 Sure, Google Analytics has some useful default segments you can use. But the real power comes in the form of custom audiences. I can add multiple conditions, as well as “and/or” statements, to dig deep into the data provided by GA. To apply your new custom filter, click the “+Add Segment” button, followed by “Custom,” and then select your new custom filter. You’ll see comparative metrics similar to before. Want to get more advanced? Use Google’s Data Studio to further manipulate your reporting. This is especially useful for crunching all of your paid marketing data in one place. Custom segments are an advanced feature, but as you can see, they are simple to set up. It all depends on how deep and granular you want to go with your data. When looking for insights, visualization is key. There are two ways to create a dashboard: build one from scratch or import a pre-existing one. Both have value, so let’s start by creating our own. 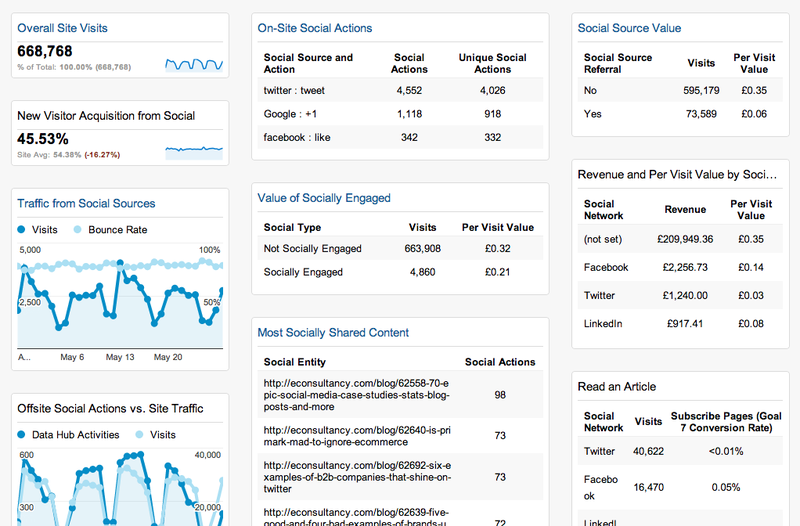 For good measure, I’m going to add some stand-alone metrics for deeper insight on this engagement dashboard. I’ll add sessions, bounce rate, and average time on page. I used a 30 percent/70 percent layout, giving the graph more room to display data. The visualization is clearer and keeps snapshot data to the left. There are many different ways to use dashboards. Analyzing certain demographics or traffic sources, for example. However, it’s likely that someone else has already created a dashboard suited to your needs. 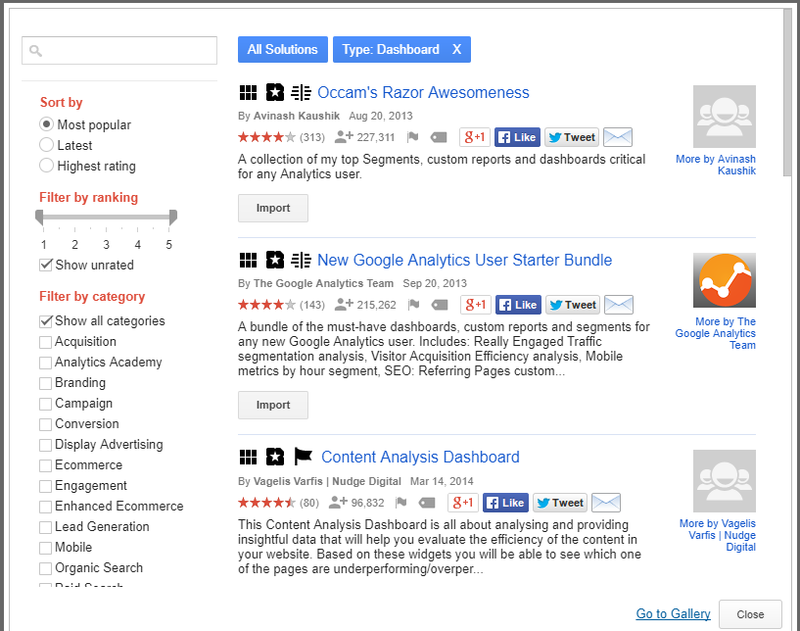 You can search for dashboards by keywords or use the filters to find them by ranking and category. For example, if I search for “social media traffic,” I see results ordered by popularity. Here are five powerful dashboards you can import and use immediately. Get a complete overview of the performance of your content marketing efforts. For some widgets, you may need to change the “Page path level 1” filter to reflect your taxonomy. If you’re pouring a lot of money into AdWords, this dashboard will give you insight on how paid traffic is performing at a high level. 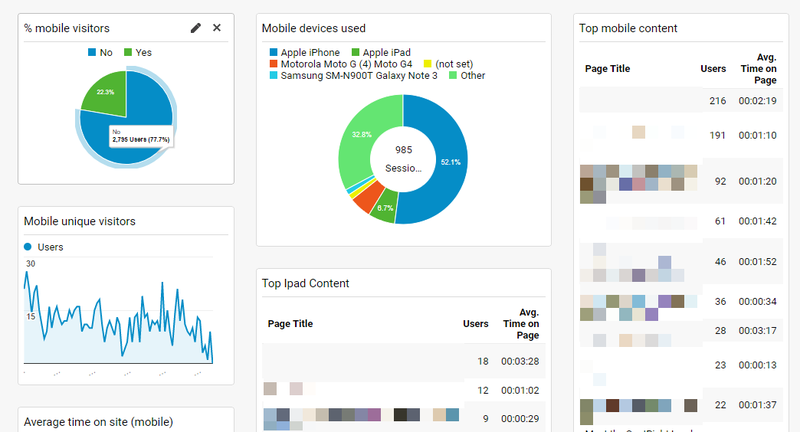 Device metrics are important when analyzing your site performance. Segmenting data by mobile users will show you if you need to optimize your site for mobile. See how well your social traffic performs across your site and content, as well as what these users are worth to your business. It’s becoming more apparent that site speed is a major SEO ranking factor. Site speed also shapes the experience of your users. 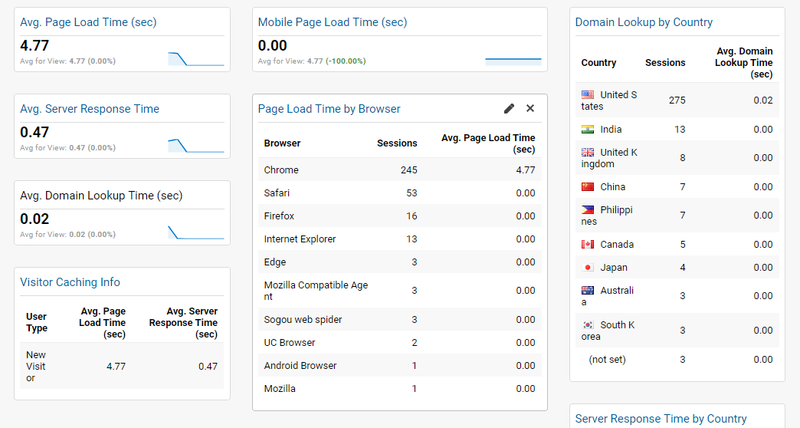 Keep an eye on your website diagnostics with this dashboard. 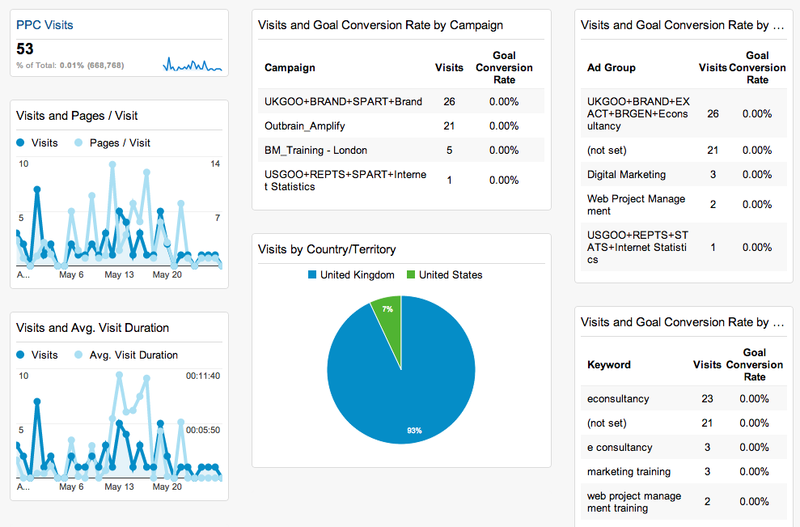 Dashboards will help you monitor the metrics that matter. But this requires you to have these goals defined within GA in the first place. Let’s look at some advanced goal tracking features to ensure you’re getting the most out of your analytics. As a marketer, you know the importance of measuring conversions over vanity metrics. Having your goals set up in Google Analytics is key. Without them, you won’t see how your visitors are interacting with your site. But most importantly, attribution of conversions will be nigh impossible. However, what do you do when you have a lead registration that involves several steps? Goal tracking is limited and fairly linear. Use multiple goal tracking if you want to track a goal with several routes to completing it. Let’s say you have several different email lists. There are many ways for users to opt-in, and each has their own goal (or thank you page). Creating multiple goals is one solution. Combining them into a single “signup” goal, however, is best practice, as it allows you to segment and measure data easily. 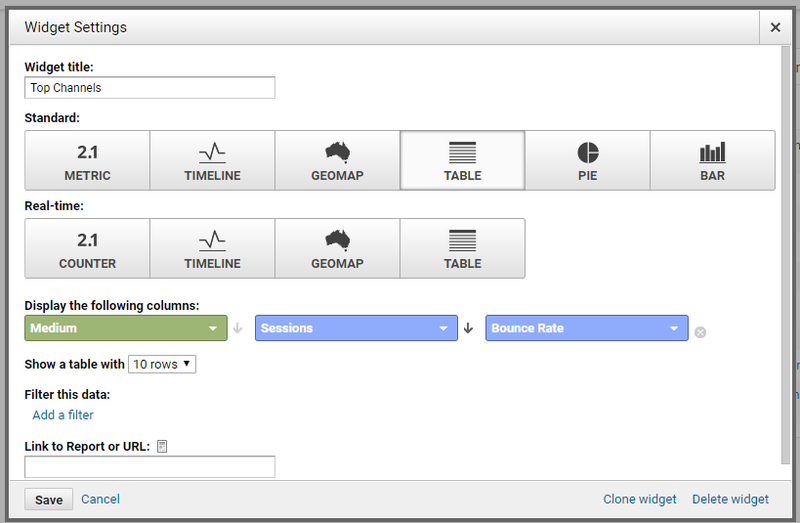 To do this, create a goal in Google Analytics as normal (by heading to Admin and selecting “Goals” under the View column). When you reach the Destination section, change the dropdown from “Equals to” to “Regular expression.” The text box (shown below) is where we’ll enter our multiple goal destinations. Separate each URL using the pipe character (|), which acts as an “OR” statement. In other words, the goal counts if it matches either URL. The dollar character ($) declares the end of the expression. Goal tracking is invaluable for measuring which stage of a funnel your users have reached. But they’re limiting. For example, let’s say you have several on-page interactions (lightboxes, welcome mats, and other AJAX-powered features). When completed, they won’t take the user away from the current page. So you need another way to track these interactions. Which is where Event tracking comes into play. An event essentially means “a click.” Whenever a user clicks on something on your website, that counts as an event. These can include file downloads, link clicks, and calls-to-action (handy for email subscriptions). For example, let’s say one of your blog posts includes a content upgrade. When they click a link, a popup box appears where they enter their email address. They enter it, click the submit button, and the box disappears, allowing them to continue their reading experience. Category: Describes the event being triggered. This field is mandatory and should be named something meaningful to make tracking easier. Opt_value: Allows you to place a monetary value on the event. When doing this, be sure to exclude any symbols and use numbers only. If you’d rather not construct this yourself, you can use an event tracking code generator that SEO Weather created here. With the right metrics, analytics can give you the insights needed to supercharge your B2B marketing. But there’s only so much you can do on the surface. Sure, GA is powerful, but you must dive deep to get the most out of it. By digging deep using the techniques in this article, you’ll gain granular insights into your user’s behavior faster.